A steering stabilizer, also referred to as a steering damper, works like a shock absorber for your steering system. That may sound odd, as your steering wheel ideally shouldn’t hit the ground. The parts of your jeep that do hit the ground, however, routinely send that impact throughout the vehicle. The shock absorbers attached to your wheels are useful for blunting the effect of rough pavement, but sometimes extra help is needed with larger potholes or smaller boulders. The steering stabilizer is meant to protect the steering column – and your wrists – from whatever you are putting your tires through. A good steering stabilizer can be found for around $50, which is much cheaper than replacing your steering linkage. Depending on your health insurance, it should also be cheaper than fixing whatever damage is done to your wrists. Replacing the steering stabilizer should be an easy task for a competent mechanic. One piece of advice, though; if you don’t have a Pitman arm puller, it is worth renting one to remove the tapered bolt which is holding the old stabilizer in place. 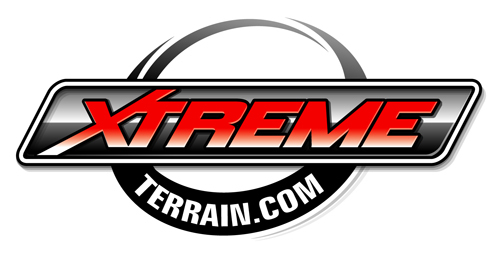 XtremeTerrain has a great selection of Steering Stabilizers such as ORV, ProComp, Rancho, Rough Country, SkyJacker, TeraFlex, Trail Master, Tuff Country, and Warrior. If you plan to lift your Jeep soon, plan on upgrading your steering stabilizer as well. If you’ve already done the lift, it’s not too late, just less convenient. Getting the job done will make your Jeep easier to control and less likely to break again. What’s not to like? As I mentioned in a previous blog, XtremeTerrain has added some great resource technical articles for Jeep owners. One such article is on Sway Bar Quick Disconnects. Here is a brief excerpt of the article. To read the article in its entirety visit: Sway Bar Quick Disconnects. First off I would like to thank everyone who participated in our Just for Fun and Freebies Promotion of your Jeep Picture submissions for the 10% off your next purchase from XtremeTerrain and the FREE XtremeTerrain Sticker, however, with all good things there has to come an end. And as of today, this promotion is no longer running. We got a lot of really great pictures from you all that participated and it was fun seeing them and seeing where some of you ran your Jeeps. But have no fear, we have another promotion in the works so keep your eyes open! It should be coming soon! Thanks again! And should you ever have an idea for a fun promotion you would like us to do, let us know. We are open to suggestions! ALSO… While I have you here, if you have noticed, our Learning Center at XtremeTerrain has begun adding Technical Articles regarding various aspects of your Jeep. If you have suggestions for Technical articles, you would like to read, we would love to hear them. A steering stabilizer, also referred to as a steering damper, works like a shock absorber for your steering system. The steering stabilizer is meant to protect the steering column – and your wrists – from whatever you are putting your tires through. Rancho steering stabilizers are designed to improve vehicle control by reducing steering shimmy and driver fatigue. Stabilizers enable you to help protect your front-end suspension components and reduce tire wear. Stabilizer is standard eyelet style (eye holes on both ends). Shock boot has factory cut slots at the bottom and black bushings are painted white by Rancho. Extended length is 19-3/4 and collapsed length is 12. Kit includes: 1 stud, 2 washers, 2 nuts, 1 cotter pin, 1 sleeve, 1 red boot and zip tie.